Nokia plans to unveil new, large-screen mobile handsets next month to revamp its Lumia smartphone lineup and challenge rival Samsung's dominance in increasingly popular phablet devices, sources said. Nokia has developed more than one new mobile device and is due to announce them at an event in New York in late September, said the sources familiar with the plan. The sources would not elaborate on details such as specifications and price but said the new models will include a phablet, a common name for smartphones with screens over 5 inches. 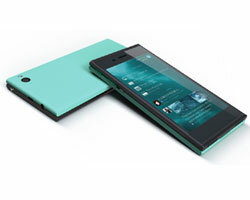 Technology blogs have also said that Nokia plans to launch a tablet device. Nokia officials were not immediately available for comment. The move comes as the Finnish mobile phone company, which has fallen behind Samsung and Apple in smartphones, has stepped up its pace of product launches in the past year in a bid to stem a decline in sales. Market leader Samsung has led the way in phablets, proving wrong early critics who said they were too clunky. Apple is the top seller of tablet devices. Analysts expect demand for large screens to grow further as more consumers watch videos and look at photographs on their smartphones. A phablet would be the latest addition to Nokia's range of Lumia smartphones which use Microsoft's Windows Phone software. In July, it announced the Lumia 1020, which comes with a 41-megapixel camera. Gaining share in smartphones is considered particularly crucial in the long run as more consumers want to use social media and video services from their phones. Some analysts, however, have raised doubts over whether Nokia's recent efforts will help turn its business around. The company has bet its future in smartphones on Windows Phone software, but Windows' share in the market is still at 3 per cent, while Google's Android operating system and Apple's iOS together control over 90 per cent. While Nokia shipped 7.4 million Lumia smartphones in the second quarter, up 32 percent from the first quarter, Bernstein Research analyst Pierre Ferragu said it appeared much of the growth came from cheaper models. Ferragu questioned whether Nokia's focus on high-end models, such as the Lumia 925, 928 and 1020, will pay off, forecasting a weak third quarter.